It’s not yet time to announce the Greek News’ annual “Let’s Go To Greece this Summer…” campaign, as it begins after Orthodox Easter, but now is a perfect time to pay attention to the other half of that heralded slogan: “Let’s Go to Greece This Summer and 365 Days A Year”. It seems that the “365 days a year” idea, created soon after the introduction of the campaign 10 years ago, was prescient; in an interview with travel-to-Greece expert (greektravel.com), Matt Barrett Econopuly, (whose paternal grandparents are from Greece) said, “Greece is a year-round destination for many people and getting more so… I think winter is one of the best times to be in Greece. I wish I was there right now.” We feel the same. 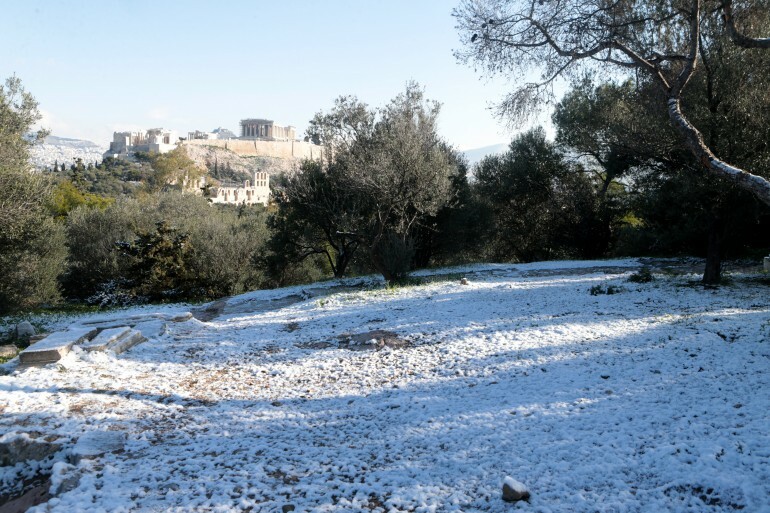 Although he urged going to his website for full—and we add, always relevant and timely information about all aspects of visiting Greece (since 1966), including his brand-new addition on how it is for women to travel alone in Greece, Barrett took the time to back up his position about Greece in the winter. GN: I spent December in Mykonos, and swam on Crete’s south coast in December, too. Are there many like me, or do most travelers to Greece shoot for spring and summer? MB: Greece is a year-round destination for many people and getting more so. The summer is heavily promoted because, let’s face it, seeing beautiful people in bathing suits on sandy beaches or infinity pools is seductive. And people who live in cold or wet places want to go where it is warm and sunny. In that respect, Greece is blessed because it is warm and sunny almost every day from May through October and even in the winter you can have warm and sunny days, even weeks. Sometimes when I go back to Greece in the spring and I ask how the winter was people tell me, “Winter? We didn’t have one!” It can be cold and rainy, mostly in January and February though not as cold as it gets in New York or even where I live in North Carolina. The climate is pretty mild in the winter. But it snows at higher elevations and there are several ski centers which are popular with Greeks but basically unknown to foreign tourists. In Arachova, the town right before Delphi, there is a popular ski center on Mount Parnassus and during the Christmas holidays and weekends the town is like Mykonos is in the summer, with bars and restaurants full of people and hardly a place to park. GN: What are some other places for wonderful trips in the winter that you can refer to as “adventurous” when you come back? MB: If you are an outdoor person the best time to come to Greece is in the offseason. I have on my website an entire site about hiking, mountain climbing, skiing, white water rafting, biking, horseback riding, wine tours, culinary tours and all sorts of stuff to do in the off season. But I am not the most adventurous person so for me I like winter because the archaeological sites are pretty much empty, and because of the rain everything is green. People who only know Greece in the summer would not recognize it in the winter. It looks like Ireland. MB: Even up on the Acropolis there is grass growing in between the stones. And in Athens and other cities there is so much nightlife… bars, clubs and restaurants are full. The Athens nightclubs and music venues don’t even start their season until October and it ends in May so again, people who only experience Athens in the summer are not getting the whole picture. And just like in the summer people are still eating and drinking sitting outside. When it gets too cold they have these big kerosene heaters for the hearty people and the rest move inside where it is nice and cozy. 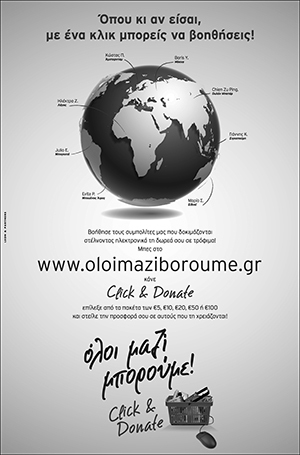 GN: What are some great things to do in different Greek towns/cities? GN: How is island tourism in the winter? MB: Islands like Santorini get visitors all year round as do Mykonos, Sifnos, Paros, Naxos, Crete, Rhodes, Syros, Lesvos and just about every island that can be reached by daily ferry or flight. Many of the people who live in Mykonos, Skiathos, Rhodes and Hydra rent their houses in the summer and return in September and stay through May, and many of them will insist that it is the winter months that they like the best. You won’t be doing much swimming in January/February because the sea will be cold but there will probably be days when you can hang out on the beach or go to a fish taverna and look at the sea if not jump into it. And the winter is a great time to walk the ancient paths that connected all the villages on these islands before the introduction of cars and roads. 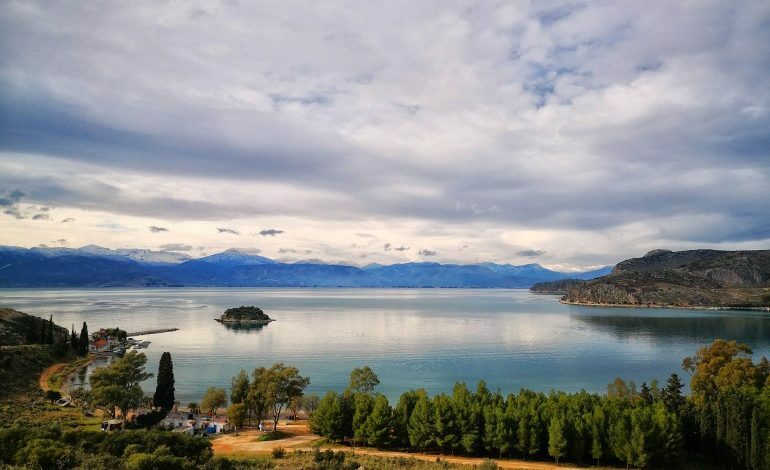 Kea is famous for its ancient paths which are numbered and mapped and you can even visit the ruins of ancient cities that can’t be reached by car. GN: Are accommodations easy to get in winter? 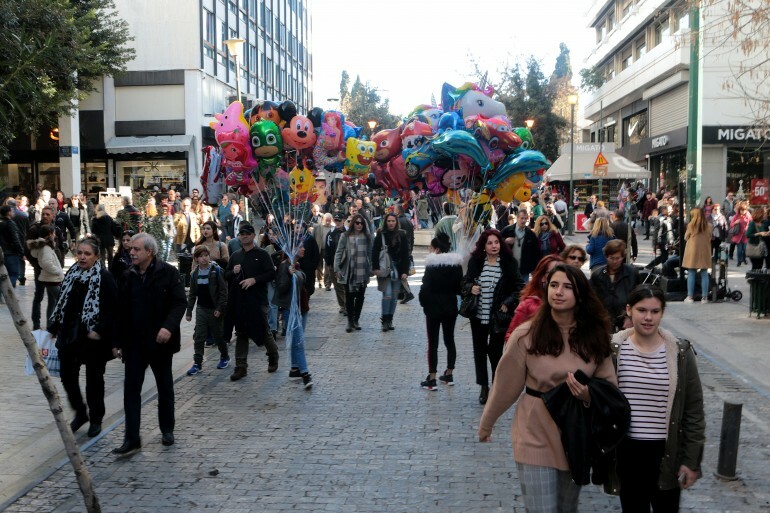 GN: It seems that shopping gets better and better in Greece. MB: Shopping in Athens is like New York or Paris except everything is within walking distance of your hotel and during the January and February sales you will find stuff you won’t find in your local mall for prices that would make it worth a trip every year. GN: Apokries, in February-March, has always been exciting. MB: Yes, Apokries, or carnival, in Athens and several cities and towns like Patras, Rethymnon and the island of Skyros have big celebrations with parades and floats and costumes, and the last 2 weeks it’s like Mardi Gras in New Orleans. It is a great time to be there and people go all out partying. Then it all ends after the Sunday 40 days before Easter, and Lent begins, and on Clean Monday the sky is filled with kites! GN: What are some wonderful Greek winter-time foods you look forward to? MB: Winter is the time for eating meat. Not that summer isn’t, but there are a lot of dishes you won’t find in the summer, like Gida, provatina, kokoretsi, kondosouvli, and people go to their local psistaries (grill houses) or drive out to the country to places that specialize in grilled meat. There are many winter greens—the horiatiki salata disappears from many menus, except in tourist areas—since the locals switch to cabbage and carrot salad, boiled broccoli and cauliflower, and other seasonal vegetables. The baccaliaro restaurants in Plaka open and they serve fried cod-fish (baccaliaro) with skordalia (garlic sauce). I could go on but I would rather you read my page about traveling to Greece in the winter because it will give you a lot more ideas of what there is to do and why. *** Matt Barrett created Greece Travel Guides to help people avoid some of the problems people have while traveling in Greece, to share his knowledge of the country, and because he loves writing and taking photos. 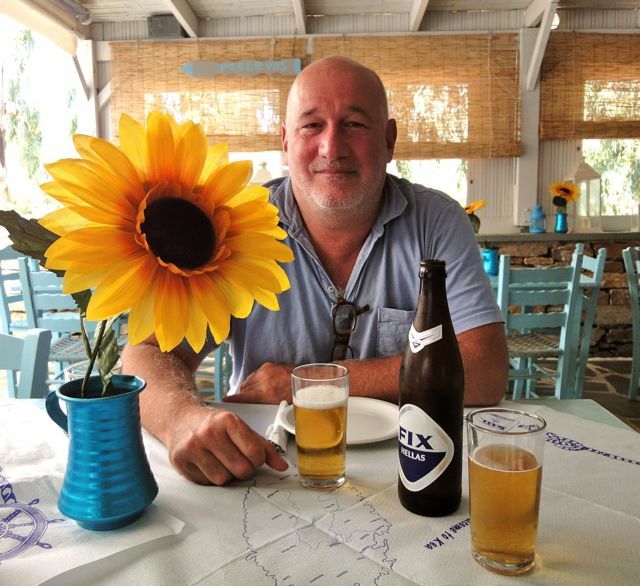 He is the author of Guides to the Greek Islands, Athens Survival Guide and countless pages on hotels, restaurants, beaches, history, Greek food and more.